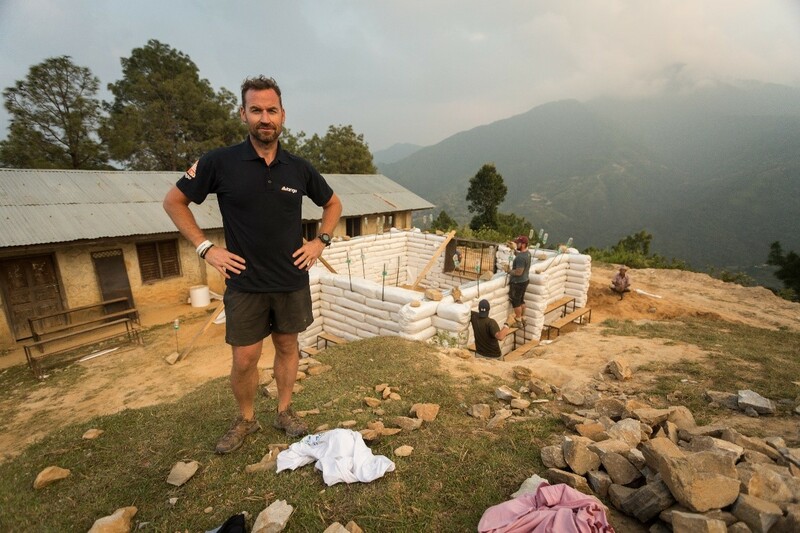 Sgt Colin Maclachlan, one of the stars of Channel 4’s SAS: Who Dares Wins and former member of the mountain troop UK Special Forces (22 SAS) heads to Nepal to join charity Worldwide Action rebuilding schools affected by the 2015 Nepal earthquake. Nepal has seven of the ten highest mountain peaks in the world sitting and rests upon the Indian and Asian tectonic plates. It is the collision of these plates that produced the Himalaya mountains over 50 million years ago, and the reason earthquakes still occur to this day. Two major earthquakes shook Nepal in April and May 2015, killing 9,000 people and injuring more than 22,000. Hundreds of thousands of people were left homeless and entire villages were flattened by the disaster. I was asked by Worldwide Action to join an expedition to help rebuild schools in the Nepalese village of Birtadada in the Dhadinig District. I jumped at the chance; I’ve always been heavily involved in charity and have a soft spot for the Nepalese, having served alongside some Gurkas in the SAS and Royal Scots. My first pit stop was to kit myself and the expedition group out. The Worldwide Action team and our group of 12 volunteers would be spending over a fortnight in the hills where we would experience unique weather conditions and challenges – we had to be properly prepared for every eventuality. I remembered using the old Force Tents in the military and how solid they were; having worked with Vango on several television projects I knew I could rely on them. They are a camping institution and a brand that can be trusted so naturally I turned to them. After a few chats with the team at Vango they agreed to sponsor us with everything we needed; rations, dry bags, stoves and, most importantly, tents and sleeping bags! Check with FCO (Foreign & Commonwealth Office) before travelling and ensure you are up to date with your vaccinations. Local currency and copies of passports/passport photos are worth having. After around 18 hours of flying we arrived in Kathmandu, the capital of Nepal. The city is named after its iconic temple which was built in 1596 and situated in the heart of Durbar Square. This UNESCO world heritage site has ancient inscriptions that date back thousands of years. We divided our kit out and took the coach for 3 hours up the steep slope towards Birtadada village; when the coach could no longer deal with the terrain we donned our F10 Alpine 45 rucksacks and scaled the rest on foot. 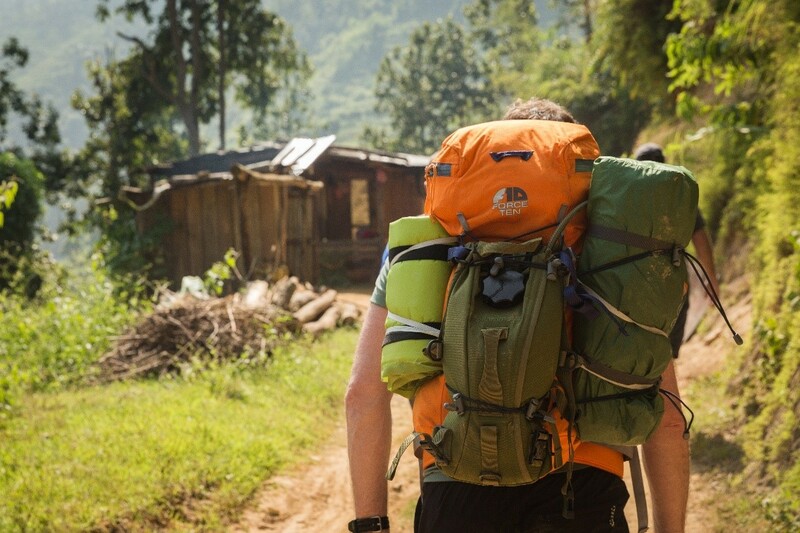 The Alpine rucksacks have been rigorously tested by a range of outdoor specialists, and it shows. They are lightweight, spacious and have some innovative design features helping everything from accessibility to how the bag feels on your back. I wanted to really test its weight bearing capacity so I deliberately loaded it as heavily as I could with a week’s worth of rations, essentials, med kit and water - totally up to the F10’s 45l limit. What surprised me was the comfort of the rucksack and its load bearing capacity. Ensure you have opened and tested everything prior to departing. 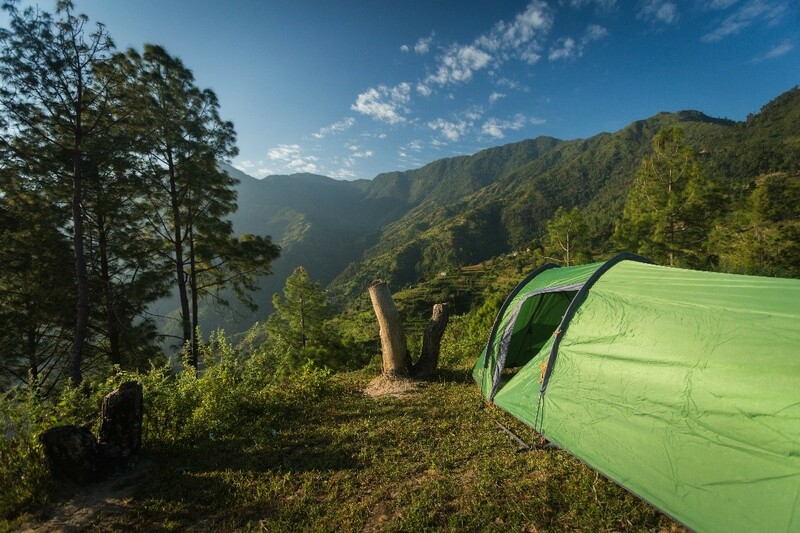 Something as simple as breaking in boots, testing batteries or putting up a tent may save you time in the long run. After about three hours hiking up the most breath-taking scenery of lush steep valleys, ice cold streams, and winding trails, we arrived at our location: Birtadada village. Off to the north-east we could make out the snow tipped Annapurna range in all its glory but we could also see the devastation the earthquakes had caused and knew there was work to be done. 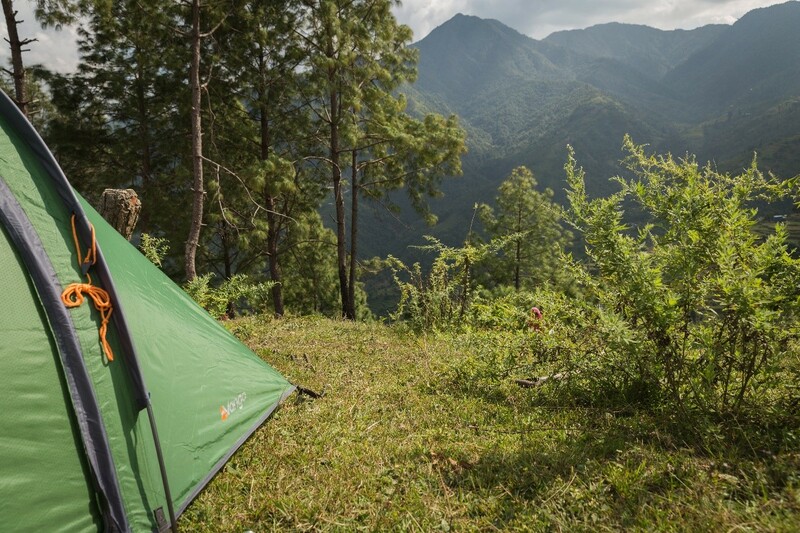 A long day of hiking in 40-degree heat meant we were ready for bed and set out our campsite on the ridge of the valley and enjoyed the panoramic views of the Nepalese mountain range. We pitched our two-man Pulsar 200 tents on the ridge and prepared diner. The porch area in this tent is good for cooking, hanging clothes or even writing blogs in peace and quiet! Keep things you are likely to need near the top of your backpack or in separate pouches so you save time searching. I tried to keep my daily routine consistent by getting up at 5am, stretching and then heading out for a trail run. 6am was breakfast time – Wayfarer’s All Day Breakfast was worth getting up for. Once we had breakfast we would start work on the school. The school we were building was 8m by 6m and was to accommodate up to 40 children, 1 head teacher plus 3 three teaching assistants.The first few days we spent digging trenches and smashing up stone to provide firm foundations for the school. We then filled rice bags with sieved earth and laid them interspersed with barbed to keep them connected. This method is called the ‘Earthbag ’ method and uses locally sourced materials. A lot can be said for just taking the first 15 minutes in the morning and doing some light stretching! 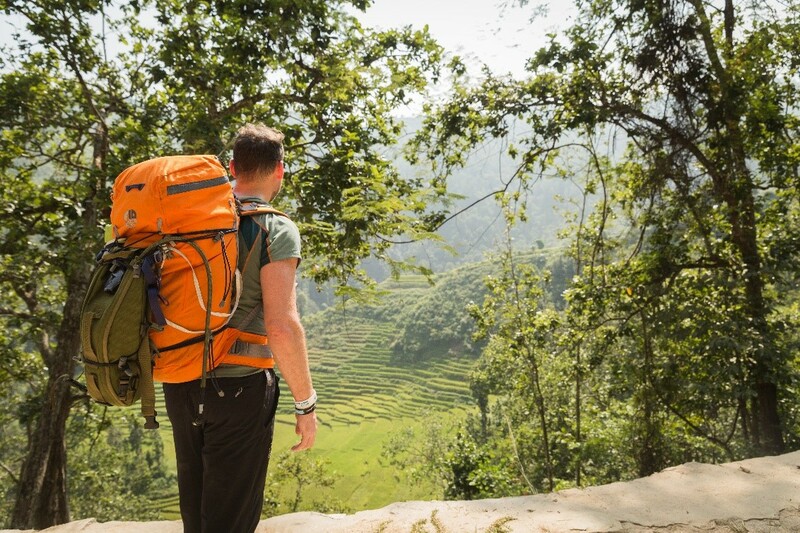 The temperature in Nepal can to soar up to 40 degrees and this coupled with the intense work meant we took on a lot of water and relied heavily on our hydra packs when hiking. Equally important to drinking lots of water, is eating and making sure you’re getting calories in. This was the first time I had tried Wayfayrer rations and they are by a country mile my favourite. I’ve eaten rations across the globe, so I know a thing or two about a hearty meal! Some of the Nepalese locals were intrigued by our ration packs and we happily shared a meal or two with them. A lot of our energy and hydration comes from the previous day’s intake. If you know you have a heavy day ahead, drink plenty and load up on vital calories and nutrients. One of the many things I love about camping and being in the outdoors is getting away from the stress of technology – having no phones or internet to distract you. Try it yourself for a few hours or even a few days and allow yourself some time to reflect on what’s important. In those evenings, we would sit around by camp light and discuss the school project and how we could make things better in the local area. I would then slip into my Fuse 2 sleeping bag and read a book till I fell asleep. For a good night’s sleep stay away from TV, Phone or laptop for at least an hour before bed and let your mind wind down. After a couple of weeks of intense work the school was nearing completion; the walls and interlocking buttresses were solid and the roof was ready to be attached. It was an emotional moment saying our goodbyes but we were happy too as we knew how important this new school would be to the community. We dismantled our Vango campsite that had been a home from home to us for so many weeks and were on our way.